The BMW Rahal Letterman Racing Team takes the green flag for the 2010 season of the American Le Mans Series at the 58th annual 12 Hours of Sebring on March 20th. The team has entered two BMW M3s, each competition-hardened from their inaugural year of racing. The classic endurance race starts the nine-race ALMS championship that will see new competitors in the increasingly competitive GT2 class. After a dose of teething problems at the opening round in 2009, the BMW Rahal Letterman Racing Team found strength in the second half of the season. The team ultimately finished with one win, five more podiums, two poles, and three fast race laps. The new driver combinations of Bill Auberlen and Tommy Milner in the No. 92 M3 and Joey Hand and Dirk Müller in the No. 90 machine proved to be a excellent change with both M3s near the top of the time sheets in the ultra-competitive GT2 class at the Winter Test. BMW Motorsport drivers Dirk Werner and Andy Priaulx will join the team for Sebring. Werner, of Kissenbruck, Germany, tested with Hand and Müller at the Winter Test and will join them for the race. Priaulx, of Guernsey, raced with the team at the Petit Le Mans and will join Auberlen and Milner for Sebring. 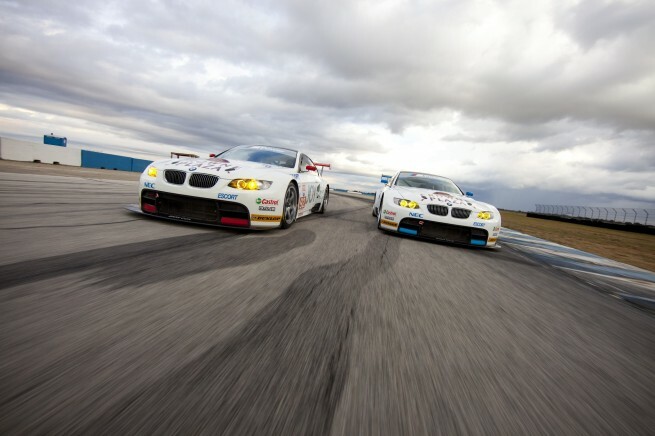 In its 2010 season, BMW of North America celebrates the 35th anniversary of the company’s March 1975 incorporation, as well as its first major sports car racing victory, an overall win at the 12 Hours of Sebring, also in March of 1975. Following four days of testing, qualifying will be held on Friday at 2:55 p.m. The 58th annual 12 Hours of Sebring will start at 10:30 a.m. on Saturday, March 20th. The race will be televised live on SPEED channel.